The presence of social media is daunting. It can be used to communicate both good and bad opinions on many current situations and experiences. Social media also plays a large role in influencing the minds and culture of young people in the world; especially young women. With the recent exposure of the mistreatment of women in the workplace through the #MeToo movement, many questions have been raised about how these young women react to these new allegations and situations. As a young woman myself, this “revolution” of sorts raises a lot of second guesses for me in terms of opportunities for future employment. In a recent survey from Vox Media in partnership with Morning Consult, women under the age of 35 expressed great concern about the Me Too movement “causing men to deny women professional opportunities.” When Tarana Burke started the Me Too movement over a decade ago, she never expected so many celebrities such as Ashley Judd and Rose McGowan to get involved. Their overwhelming presence on social media truly gave them the platform to advocate and educate the younger generations about how they were mistreated. Especially when they themselves were trying to create job opportunities at a young age. As their ideas began to spread, I became very nervous about living my daily life. How do men see me? Am I just an object? How will this affect my career? Like many other teens, I am in the process of looking for a summer job. I tend to get very nervous when thinking about where I want to work. I think it’s kind of a sad fact that I want to make sure I have a woman as my boss. Furthermore I’ve even considered working at a business where men don’t typically apply. The attention brought to these things on social media has had beneficial impacts as well. Many older women are now more freely giving out younger generation advice and providing comfort to their concerns. Social media gives women a voice. It allows them to make the change they’ve always wanted to see happen. I personally applaud the efforts made by many to bring these situations to light. As uncomfortable as it makes people feel, it is a good thing to finally talk openly about. Here’s hoping that young women will now find that employers are more opt to hire them because they are truly seeing the potential in them rather than what a gender standard entails. Here’s hoping that men are now seeing women as the hard workers they’ve always been. Social media is truly both a blessing and a curse. However with its power to shed light upon the many things that are unfair in our world today, and given the right conditions, awareness and opportunity can surely follow. 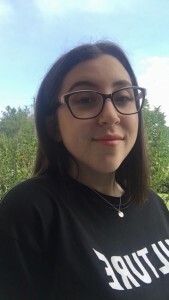 Abigail Juknavorian is a junior in high school and a resident of Methuen. She is a member of the YMCA Youth and Government Press Corps and a delegate to the UMASS Lowell Model UN.